Owner and manager of Eastpointe Health & Fitness, Paul Mazzella takes pride in creating a highly personable, family-like environment for members of all ages and fitness levels. His customer-driven focus, fitness knowledge and the desire for members to experience real results makes working out at Eastpointe Health & Fitness that much more enjoyable. Plus, with exciting weight-loss programs, nutritional guidance, college-educated personal trainers, and motivational seminars, Paul's integrated health and fitness approach cares for the entire person. Paul holds certification from the National Academy of Sports Medicine as a Certified Personal Trainer and regularly seeks to expand his industry knowledge to further enhance the educational experience of Eastpointe Health & Fitness members. As the General Manager and Nutritionist for Eastpointe Health and Fitness, Kim Mazzella works with our members to ensure a balanced and integrated approach to health. Kim graduated from Montclair State University with a degree in Foods and Nutrition. She is also a certified personal trainer through the National Academy of Sports Medicine (NASM.) Specializing in weight loss and sports nutrition, Kim has worked with clients of all ages and fitness levels to ensure an appropriate caloric intake, address lifestyle concerns and increase energy levels through a balanced diet. In addition to her formal education, Kim has a number of certificates including her Precision Nutrition Level 1 Nutrition certification as well as a Sports Nutrition from International Sports Sciences Association. Kim is committed to helping our members achieve the results critical for health and wellness. Her extensive background and experience in both exercise and nutrition counseling provide a solid foundation for client success. Click here to read Kim's blog. Julia has been in the health and fitness industry for over 15 years. As an athlete throughout high school and college, fitness has always been a priority in her life. Julia enjoys working with clients of all fitness levels and helping them achieve their goals. “ Everyone is here for a different reason with different goals, it's our job to help them on their journey. Understanding the client and their needs is paramount. Julia's certifications include; ACSM “ CPT, FMS Levels I and II, ACSM Sports Nutrition Certification, as well as certifications in Spin and Kickboxing. As the fitness industry continually changes, continuing education is essential to being the best coach possible. 'Never stop learning and never stop moving'. Nick is a lifelong resident of Atlantic Highlands. He has always had a passion for an active lifestyle and that is where his enthusiasm for fitness began. This continued into his college career as a member of the Montclair State University Men's Basketball team. Nick graduated from Montclair State University with a Bachelor of Science Degree in Physical Education and Health, with a concentration in Coaching. He then decided to take his fitness journey one step further and became a certified personal trainer. Motivated by the profound impact a healthy and active lifestyle can have in our lives, Nick is determined to motivate and encourage clients by keeping fitness fun. Mike Kubas earned his Bachelor of Science degree in Kinesiology from James Madison University, and his Master of Arts degree in Exercise Science from Montclair State University. He is a Certified Strength and Conditioning Specialist from the National Strength and Conditioning Association since 2009. Mike has extensive experience training in a variety of settings with all age groups. He specializes in sport-specific training, weight loss, functional training for everyday activities, and post-rehabilitation fitness. He continuously evolves each client’s customized fitness program to motivate and maximize results. Mike is also passionate about his own fitness and workout routine, plays soccer, and roots for his favorite sports teams. He enjoys helping members find creative, fun ways to reach their fitness goals. Melissa’s fitness journey has lead her to the role of Group Fitness Manager at Eastpointe Health and Fitness. Along with coaching 4 Spin classes and 2 Core Xpress classes, she is working on maintaining and improving Eastpointe’s Group Fitness Program which offers over 50 classes per week. In 2002, Melissa was introduced to Spinning (indoor cycling) at Eastpointe Health and Fitness and she was hooked instantly. For the first time, she found a class that was motivating and produced results. She literally watched her body transform over the following 2 years; by incorporating strength training and spinning into her workout program, she achieved results she had never seen before. Spinning became her passion and now she teaches because she enjoys being able to help others achieve their fitness goals. Her classes are energetic and motivating, pedaling to the driving beat of the music. Melissa is a FitTour Indoor Cycling certified instructor and CPR/AED certified. A licensed Zumba instructor since 2012. A member in good standing of the Zumba Instructor Network (ZIN™). Currently teaches in several fitness centers in Monmouth County. Licensed to teach Zumba Gold®, Zumba® Toning and Strong by Zumba®. Fitness has always been a part of Allison's life. Originally from Middletown, she swam competitively for over ten years on both club and school teams. In June 2017, she became co-owner of Fuel Fitness NJ in Little Silver, where she also taught a variety of classes. Her workouts focus on mindy - body awareness and of course, fun! Allison is a 2006 graduate of M.A.S.T. and a 2010 graduate of the US Naval Academy. She is ACE Group Fitness Instructor certified and Mad Dogg Spin certified. Allison currently teaches Total Body Strength and Core Express classes at Eastpointe Health and Fitness. After college, she started getting serious about her health and fitness and began to workout daily. After moving to Atlantic Highlands, Allison joined EPH&F, and fell in love with the gym. She decided to share her love of fitness through becoming an instructor. “I love helping clients reach their goals through fun, challenging workouts and lots of positivity and encouragement”. Allison LaRochelle is a local musician who came to yoga in 2014 full of anxiety and heartbreak, and yoga did not take away the pain or give her a means of escaping, but instead allowed her to sit- to abide- in all she was feeling. This helped her eradicate her fear of an unknown future. LaRochelle developed a passion for yoga and connected with the practice very similarly to how she connected with her musical practice. She loved the healing, rhythm, intimacy with one's self, the new medium of self expression, and the overall hope to harmonize the inner-self with all that is. In 2018, LaRochelle was able to participate in Bodhi Yoga Academy's Tinton Falls, NJ 200-hour yoga teacher training program with Samantha Vetrano, Irene Pappas, Tess McDaniel, and guest teacher, Eleonora Zampatti. As a result of completing this program, Allison LaRochelle is a CYT (Certified Yoga Teacher) 200. This training gave LaRochelle an in-depth education on safe asana (yoga posture) practices, yoga history, and yoga philosophy. She is passionate about sharing and incorporating all 8 limbs of yoga into her classes in order for her students to understand what yoga is all about and to honor the culture in which yoga comes from. Allison recognizes yoga as a lifelong practice and plans to pursue more training and education. Barbara Aschettino is a long time student of Yoga and Meditation and was initiated into the Himalayan Tradition in 1982 by Swami Veda Bharati. She is registered with Yoga Alliance, RYT-500. As a former sales and marketing executive for a high tech firm in Silicon Valley, Barb used yoga and meditation to survive the corporate jungle. She switched gears 15 years ago, retiring from the high tech world and attending College, where she studied philosophy, music, physical therapy and also taught Yoga. Since then she met the man of her dreams, who brought her to Atlantic Highlands, New Jersey, where they happily reside. With all the many wonderful teachers and Yoga traditions that Barb has studied, her dream is to simplify and make this wisdom accessible to everyone. Bonnie has been a part of Shore Results and Eastpointe Health and Fitness for over 5 years.  Starting with Eastpointe as a member and taking on the role of a strength coach in 2017. Bonnie’s passion for fitness began after her children were born and she struggled with her post-pregnancy weight gain. Bonnie realized how important eating well and exercising were to staying on track and giving her the energy she needed to keep pace with the kids. Since that time fitness has become a large part of Bonnie’s life. She has competed in a triathlon, as well as various 5ks and 15ks. Bonnie lives in Middletown with her husband and three children. She enjoys being outside, staying active with her children, gardening, and reading. Cindy Durso started her journey as a group fitness instructor 28 years ago teaching Step Aerobics and Toning classes. She was a full-time dental hygienist by day, and Step instructor by night for many years. A life-long love of dance made fitness a natural fit. Over the span of a 28 year career, Cindy Durso has also taught kickboxing, pre-natal fitness, Pound Fitness and currently teaches cycling and Zumba. She was one of the first instructors to teach those formats in the area. She was AFAA certified for over 2 decades, and is lifetime certified in Mad Dog spinning, and is a current licensed Zumba instructor taking many choreography classes to keep her classes fresh and exciting. Dyanne has been certified in the fitness industry for 20+ years. Her experience is evident in her form and instructiveness with her classes to ensure that you are getting the most out of your workout safely. Dyanne teaches Cardio Dance and Body Sculpt. Dyanne is a fun and motivating instructor who you will have you feeling the burn! Grace Lang has been involved in the fitness industry for over 30 years and has worked at Eastpointe for 15 years. She has dedicated her life to helping and encouraging others to reach their health and fitness goals. Having been a competitive bodybuilder in Australia, Grace has the real-life experience of shaping, building and toning the body to peak fitness. Grace is a “WITS” (World Instructor Training School) certified personal training and fitness Instructor. Over the years she has done many continuing education courses in many different fields of fitness. These include Spinning, working with seniors, functional movement screening, nutritional concepts etc. Graciela has been teaching in different gyms in the New Jersey area and takes 1 or 2 jam sessions monthly with a Zumba Jammer to keep herself updated. So that she may offer her students new routines in every class. She is certified in Zumba B1, Zumba B2, Zumba Toning, Strong by Zumba, and Zumba Gold. She is also part of Zumbathons, an event that supports people in need within the community. She attends ZINCON, a Zumba Convention in Orlando, an event that happens every year, reuniting thousands of Zumba instructors worldwide. This four-day training experience enhances her learning and competence as a Zumba trainer. Besides teaching, Heather is also a massage therapist and mother. She loves to hike in the park and garden as well. Come in and take a class! Fitness has always been a big part of Karen’s life. As a young child playing sports and in her teenage years wanting to lose weight and get healthy, Karen joined a gym, started eating healthy and was hooked ever since. Karen has been with Eastpointe Health & Fitness since Day 1 as a member. Karen became a Shore Results member after doing her World Instructor Training School, W.I.T.S, Certification internship with Shore Results. Karen knew she wanted to be a part of Shore Results helping, motivating and encouraging people to be healthy. Karen became a Shore Results Coach in 2017. Karen also holds a National Academy of Sports Medicine, NASM, Certification and American Academy of Sport Dietitians & Nutritionists, AASDN, Nutrition Specialist Certification. Karen has competed in the StrongFirst Tactical Strength Challenge and the Spartan Race. Karen lives in Red Bank. Karen loves the outdoors, traveling, family, animals and helping keep people healthy and fit!! I have been hooked on fitness ever since I first stepped into an aerobics class 28 years ago. I sucked wind and went left while everyone was going right...but I stuck with it. Sweaty and happy at the end, motivated by an instructor who had a huge smile for everyone and judged no one, I never looked back. I loved how it made me feel, and how it changed me not just physically but mentally. As a lifelong dedicated fitness junkie, I then received my license to teach Zumba in 2013...combining fitness and my love of Latin dance. Today as an instructor of Zumba, Boot Camp, and 20/20/20, I strive to bring that same joy and sense of accomplishment to my students. It is my goal to create an atmosphere that is welcoming, challenging, and FUN! I smile while I teach because I love it, but don't be fooled as I will push you as hard as you are willing to go! My desire to help others learn and achieve led me to pursue a Masters in Education with a technology focus...so in my other life you will find me creating online courses. I hope to see you in the studio soon! Kristine Venneman has been teaching all types of fitness classes for more years than she can count on her fingers (and toes). She still loves to create the most eclectic and energizing playlists and finds the fun in each and every workout. At Eastpointe, she teaches a Sculpt class infused with elements of Pilates, Barre and Boot Camp. Kristine also teaches a Cardio Dance class that blends hip-hop, Latin, and jazz all while working the muscles you most want to work. You will sometimes find her in the Cycling Studio, or anywhere she can combine her love of music and sweat. Kristine holds a Bachelor of Science in Exercise Science and Sports Studies from Rutgers and a Master of Arts in Teaching, Monmouth University. Over the years, she has trained in dance, Pilates, Spinning, TRX, Gravity, kickboxing and step aerobics and has held many certifications such as: AFAA Certified Aerobics instructor; AFAA Certified Step Aerobics instructor; AAAI/ISMA Certified Personal Trainer; AAAI/ISMA Certified Kickboxing; AAAI/ISMA Certified Mat Pilates; and Mad Dogg Athletics Johnny G Spinning Instructor. During her years as a Ford, Wilhelmina and New York Model Management model, it was vital to maintain a disciplined regimen of eating properly and exercising regularly. As a mother of 3 children, this could be challenging at times, but she was able to develop a routine and balance that worked for her busy lifestyle. “Discipline and athleticism were always an important part of my teenage years growing up in Lithuania. As a high school runner and novice model, a healthy lifestyle was essential.” The culmination of these experiences has developed into her newest endeavor, fitness training. More recently Laura enhanced her knowledge and expertise on fitness by obtaining her NASM Certified Personal Trainer (CPT) license, NASM Corrective Exercise Specialization (CES) and was trained by Pilates Blast to teach Megaformer. Laura teaches Body Sculpt at EPH&F and has subbed a variety of other classes, including Total Body Strength, Core Xpress, and Pilates. At a young age, Melissa had a strong passion for music and fitness. She parlayed her passion for both music and fitness into becoming a Spin instructor. Her passion for health and fitness has helped her gain many certifications over the years. She currently instructs the following classes: Total Body Spin, Core Xpress, Boot Camp, Total Body Strength, Spin and Spin with weights. Whether you are someone just starting a fitness program, someone who is fit and striving to meet new goals, or someone in between, Melissa will ensure you feel welcome at Eastpointe Health & Fitness. Melissa is a wife, mother to three beautiful children, former 95.9 WRAT Radio Rock Girl, and Mrs. New Jersey contestant. She enjoys helping others find success through fitness, outdoor activities and loves spending time with her family. Fitness has been a life long journey for Mel. With exercise being a major part of her life; she trains in strength and cardio on a regular basis. Melissa has served as an inspiration to others, assisting friends and family with improving their fitness. She has participated in various local runs, rides, and triathlons. Melissa began her career at Eastpointe Health and Fitness as a group fitness instructor and continues to teach Spin, Body Sculpt, and Meta-Strength classes on a weekly basis. In all of her classes, Mel inspires the participants to enjoy high energy levels and fun music, with an overall organized and professional class design. She continually encourages everyone to come and try her classes. She reminds everyone at the beginning of Spin— “It’s your ride!” Her job is to guide and motivate everyone to give 100% of their eﬀort in every class. In 2017, Mel progressed her education and career by becoming a NASM Certified Personal Trainer and accepting a position as a Strength Coach in Shore Results. She trains individual clients, teaches Metabolic and Strength classes and encourages everyone to do their best. Melissa lives in Atlantic Highlands with her husband and three children. Mel enjoys reading, baking, and gardening. She is an accomplished potter with a full studio in her home. Nancy’s teaching philosophy is that yoga is beneficial for everyBODY - regardless of age, flexibility and fitness level. She is especially passionate about promoting the benefits of yoga for men and welcomes the inclusion of men in her class. Nancy teaches a style of yoga called ’slow-flow vinyasa' - a well-rounded approach of breath synchronized movement - which is suitable for all levels including beginner. She is a registered yoga teacher with the Yoga Alliance and has been a yoga practitioner for 18+years. In addition to teaching yoga at Eastpointe, Nancy teaches private one-on-one classes for those who do not have the time or ability to get out to a group class, and those with specific physical issues. She also works at bringing yoga and meditation to businesses in the area. Nancy is also a fine artist and her work has been featured in various art shows and galleries throughout New Jersey. Tatiana currently teaches Stretch & Pilates on Sunday mornings at EPH&F. She is a certified and registered Yoga Teacher, integrating Hatha, Iyengar, Ashtanga, Vinyasa, Restorative, Prenatal, and Postnatal and Yoga Rehab in her classes. She is also certified in Power Pilates Mat I and Mat II and the comprehensive Pilates certification utilizing all of the Pilates apparatus. She incorporates bits of all of her training in all of her classes, while educating and pushing her class participants to become better at their practice. Tatiana studied Dance and has a Dance Education and Dance Therapy Masters from Columbia University NYC. She is a professional Ballerina, Capoeira, Flamenco, Ballroom and Modern Dance teacher. She is trained by David Howard, studied dance at Ballet Hispanico, STEPS, Broadway Dance Center, NYC Ballet, American Ballet Theatre Feld Ballets. She has worked as a personal trainer and fitness instructor, throughout New York, New Jersey, and California and has trained for fitness competitions in Los Angeles, California. Tricia was born and grew up locally, settled in the Locust area with her hubby and now two grown kids. It didn’t take long before spinning became her addiction at the gym. “It has never not become a challenge. My rides take you on the road as we pedal to the beat of the music. Your goal is to finish and mine is to get you there...I thrive on putting classes together, finding music that motivates, and always keeping the participants in mind.” Tricia is an interval trainer and certified thru Mad Dogg Athletics and CPR/AED certified. She has been spinning for 20+ years, and instructing for 10+. Indoor cycling is not only a great physical workout but also helps to clear your mind. approach to whole body health we’re committed to a healthier, happier YOU! Kim Mazzella, our Nutritionist featured in sponsored video in Shape Magazine! BIG Losses Announced in the New Year, New You Body Transformation Challenge! “New Year, New You” Body Transformation Contest is underway with 13 Teams competing to win the $4,000 prize! Be sure to try some classes with our new instructors!